The best gifts with free shipping or time to pick up in-store before Christmas! I want them ALL! Just in case you're looking for a last minute gift for me...fine, or anyone else, these are my top picks! 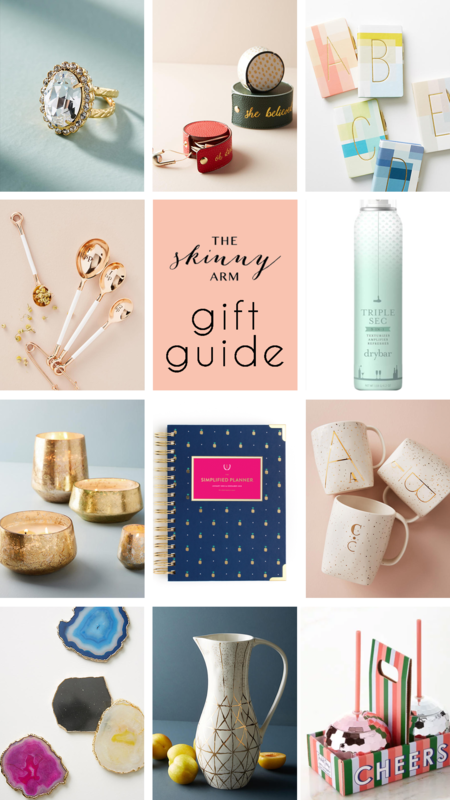 Anthropologie is having a 25% off EVERYTHING plus FREE SHIPPING sale right now, so many of these gifts are from Anthro! Order by Wednesday, 12/20, for free shipping to arrive by Christmas Eve! I can't believe Christmas is ONE WEEK away! Which means NYE and Beats & Bubbly are less than two weeks away. Minor freak outs are happening daily at my house, but that's ok... I'm holding it together with a few tips that I'm sending out in my newsletter on Monday. Don't get my newsletter? Subscribe!